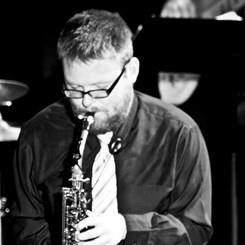 Tim Crump is a saxophonist, woodwind doubler, and composer. As a performer he is active in virtually every style of music. He has performed with the Chattanooga Symphony, the Clibber Jones Ensemble, numerous pit orchestras for musical theater, classical chamber ensembles and many jazz and R&B bands. As an educator with 11 years of experience of private teaching Tim has had students receive top honors in regional and state wide competitions. He is a frequent clinician in schools throughout the area. Tim is growing more active as a composer. Two commissions will receive premieres in Fall 2014.